Prime location for your business! Fronts Hwy 90 W. Service Rd. and overlooks the proposed ''Progress Point Business Park Development''. Approx. 2.21 acres fronting on Hwy 90 W Service Rd. and will be the left corner as you enter the ''Progress Point Business Park Development''. 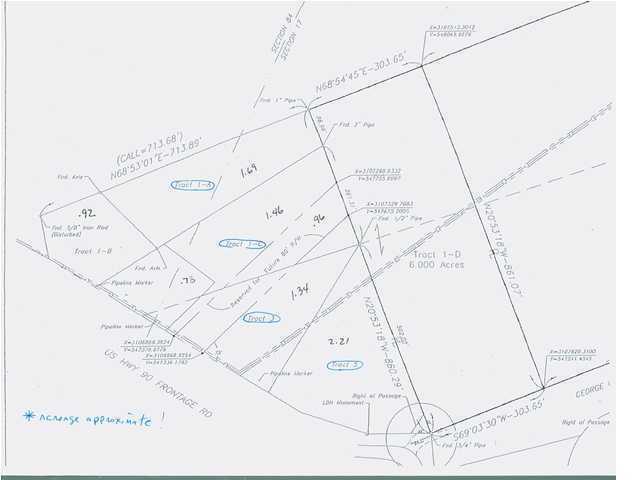 Additional property adjacent to this property is available all totaling 7.48 acres (more or less). Seller(s) reserves 100% of the mineral rights.